Last month I felt secure in describing Nest as a company comfortably traveling along in Apple’s orbit. I even linked to Matt Turck’s November TechCrunch article “Battle for the Connected Home”, wherein he suggests that Nest — a Lilliputian among Gullivers — needed to be acquired by Apple before it was crushed. Today we see that he was off by a few Silicon Valley miles. Why Google? Why now? Why $3.2B? Maybe I have all the answers here in my hand. It’s right under this glass that I’m tapping and sliding my finger across. The battle over the software that will run next-generation smart phones and tablets is The Contest. The fledgling home automation market is only a qualifying event for Google vs. Apple. They are both developing contextual operating systems. 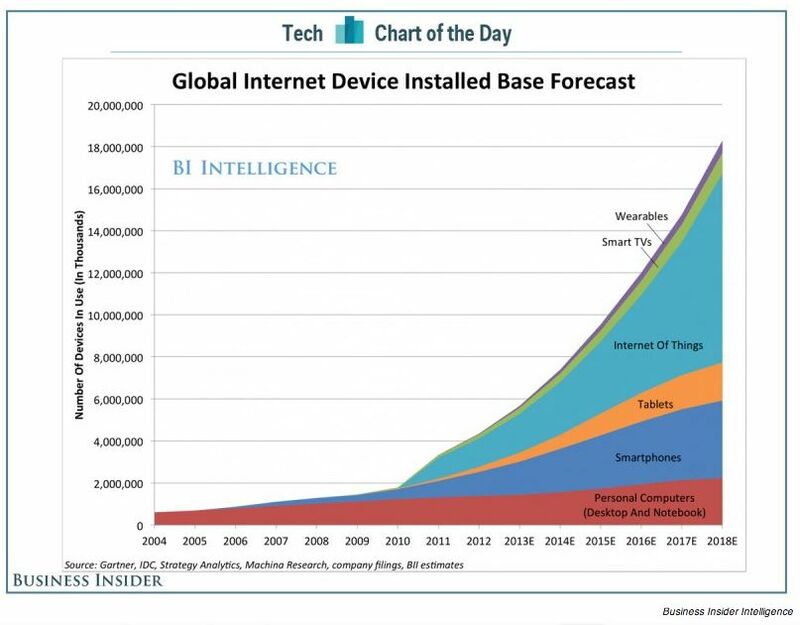 A contextual O/S will bethe browser of the Internet of Things era. The vision they share is that soon, when you or I walk into a space at home, at work, or during a stroll around town, our mobile devices are going to know where we are, our usual activities at that time and place, and the environmental conditions. The contextual OS will understand when we speak to it, tap into it, or communicate via gestures. And it will keep things sleek and simple, only serving up those apps that make sense in the contextual setting. With Nest, Google acquires a brand, some products and a team with Apple-DNA to spur it along the path towards this context-aware future. Unlocking and locking physical security, brightening and dimming lights, adjusting interior temperatures — these are the first few Internet of Things (IoT) use cases with clear value to consumers. This was validated at last week’s Consumer Electronics Show. The Apple-DNA component of the Nest brand explains the price point. Think back to the Mac vs PC ad campaign of 2006. How much would the nerdy guy pay to switch places with the cool? Google wanted the guy who designed the iPod in an attempt to subsume the entire Apple platform experience. Google has analogues to many of the key aspects of the Apple platform — Android, GoogleNow, Chromebooks, etc. But, they don’t fit together like Matryoshka dolls. Apple operates from the legacy of clear winners in every innovation category, from the Mac, to iPod, to iTunes, to iPhone, to iPad, to iOS with Siri. And, most importantly, it has a passionately engaged developer community. What are those 3 drivers the Tiger Mom is ranting about: insecurity complex, superiority complex, impulse control. Except for impulse control, I think those were the factors driving the price up. For Apple, a contextual mobile O/S is an obvious next step. It’s already added iBeacon to iOS 7 to collect the necessary environmental data. I think Forrester analyst Frank Gillett is thinking small when he says Google’s acquisition “affirms the growing strategic importance of the idea of the connected home.” Google‘s Nest acquisition affirms its intent to remain competitive in mobile operating systems. For this, it needs to capture a leading position in IoT connectivity. Forrester’s Gillet continues, “Google will open up the somewhat closed approach that Nest used to date, to better integrate with interoperable smart home solutions.” He’s right. But why just homes? In a recent post, I reported that some are betting the Center of Gravity for future IoT markets will be the consumer mobile device. There is no retreat in the ‘Bring Your Own Device’ movement. So I don’t see why app’s developed for next-gen contextual mobile operating systems won’t penetrate the workplace and retail environments. In this respect, competition for developers – Apple vs Google vs Others (how about Ninja Blocks? and the building industry’s own incumbent Tridium) – is likely to spread to the ecosystem of commercial building system integrators. If the some 300 Nest employees working in the home buildings control space for a few years are considered to have combined talent near $3 billion, what might be the value of the talent pool of building engineers and technicians that know how to make big commercial buildings operate? This purchase could spur a healthier market for this talent under the new flag named IoT. Google’s dominance in the Search market could cause it to slip up in its pursuit, however. A predominant reaction to the purchase is worry about Google invading home privacy. Customers never complain that Apple strives to know what they want before they do. Apple’s algorithmic helpers like iTunes ‘Genius’ and Face Match have been perceived as just that – genius. Highlighting the brands and people that are succeeding at marketing to buildings professionals via digital media.